Check out my list of OSCAR shows! It all began in 1978 when I was ten years old - with STAR WARS, of course. 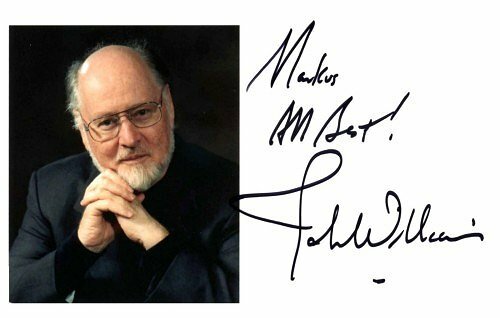 Over the years I collected more and more of JOHN WILLIAMS' works, both on record and CD, and when I started this website in 2001, I realized that I was not alone with my love for great music. Since then, some of my fellow JOHN WILLIAMS fans have actually become my friends. My collection has grown considerably since I first presented it on the internet. My thanks to everybody who offered trades, delivered information or gave advice - it's refreshing to know that so many people out there are joined by their love for the music of JOHN WILLIAMS. This website is dedicated to Miguel, Jos, Eric and Peio.